I travelled to Nigeria with Omoyele Sowore, presidential candidate of the African Action Congress (AAC), back in May 2018 and accompanied him as he made his way across different parts of Nigeria conducting town hall meetings and youth engagement sessions for over a month and a half. This gallant Nigerian merits all the accolades that come with his historic presidential aspiration and deserves the support of most of us in the Diaspora. To be specific, he deserves our financial support. I will make my case below. I met the young Sowore post his University of Lagos student president and Abacha revolt days at my African Shrine establishment in Brooklyn, NY – back in 1998. A lot of young, vibrant men and women passed through my space but something about him stood out upon our first meet. He struck me as a respectable, young Pan-African leader instantly. Over time, my view on his character solidified my first impression as he turned out to be a straight-forward, intellectual, modest, non-materialistic and composed individual with a culturally astute mentality. I remember his Elendu Online and the African Magazine writing days which led to the birth of the famous Sahara Reporters website. I witnessed and supported the many protests and acts of activism he orchestrated and remember feeling revered when I saw him MC the Feladay Celebration at Tillary Park by the Brooklyn Bridge back in October 2008 (?). This particular event confirmed his roundedness as a public figure and servant to me. I was so moved by the activist resemblance of Sowore to the great Fela Anikulapo-Kuti – whom I proudly rendered services to during his time with us – that serving as Chief Consultant to the Fela on Broadway Musical in NYC, I advised the production team to invite him to audition as Fela himself. But this is a story for another day. I remember when I first heard of his presidential aspiration and a sense of calm overcame me as I realized the possibilities and potential that Nigeria as a country would reap if this became a reality. I was aware of the traction he had at the beginning of the Take It Back Movement (TIB) but nothing prepared me for the actualization of the coming of a renewed Nigerian leader when I travelled back to Nigeria with him. His temporary residence and campaign headquarters in Ikeja was constantly abuzz with vibrant youths and campaign practitioners working on various assignments, meetings and planning sessions ahead of the presidential election. The expressions of joy, hope and excitement on the faces of youths who came out to see him at the airport, marketplaces and town hall meetings further convinced me that a revolution has started and this journey has only one acceptable ending. 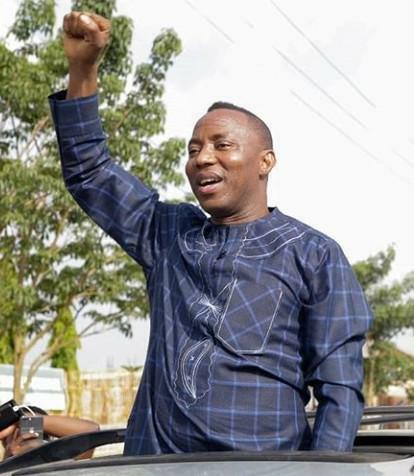 Sowore is as energized as anyone I have ever known. During our time as he toured Nigeria, he was the last person to go to bed and the first to wake up. His dedication is evident in the sheer number of town hall engagements, TV and radio interviews he has conducted in such a short period of time across various states in Nigeria. One thing struck out at me during this memorable trip and remarkable experience; the challenges facing members of the movement outside of Lagos when they do what they do to make this revolutionary presidential run a reality. Top of the list is the bad roads they encounter as they travel to spread the TIB message across the country. Let me add the numerous security checkpoints, the lack of cellular service in certain parts of the country, the unruly individuals that are sometimes present in cities with an agenda to cause trouble and attack members of the movement – and you start to get a clearer picture of what challenges I speak of. This movement is comprised of volunteers across the country that travel on behalf of the movement and need to be sustained on a basic level – transport costs and food. I have witnessed airline fees of over N1 million. I have witnessed attacks on student members that resulted in hospital visits and subsequent medical bills that the movement paid for. Ladies and gentlemen, this is an expensive operation by any measurable standard, and as election day approaches in a little over two weeks, the expenses are piling up as last-minute efforts to spread the TIB message intensifies. The Diaspora can come in and financially sustain the mobility and sustenance of the movement as it envelopes Nigeria, so that come February 16, 2019, we can all wake up from the old Nigeria as we welcome a new dawn. I have seen the amount of effort being put in by members of the Take It Back Movement in Nigeria. I have seen the effects this effort is having on ground. 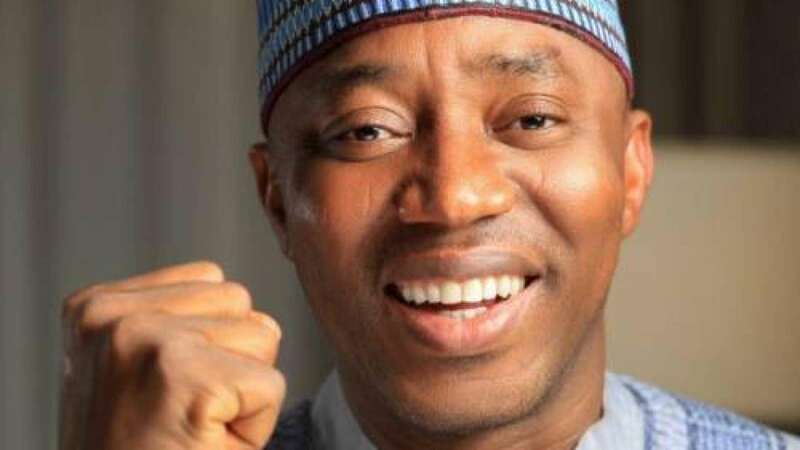 Mr Sowore has a credible chance of winning the Nigerian Presidential Election and establishing the vision of a new Nigeria he has shared across the globe – which we embrace. While Nigerians in the diaspora may not be able to vote in this year’s election, you have the opportunity to make your voice heard by supporting the TIB movement and Sowore financially. I encourage members of the Diaspora to support this movement financially by donating today. To donate, please click here to visit his gofundme page. 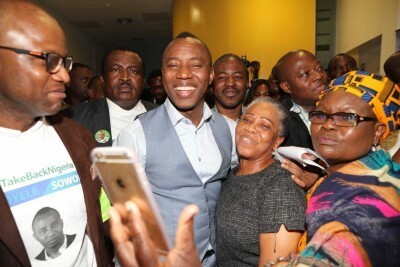 To learn more about Sowore and the Take It Back Movement, visit sowore2019.org. Will Jumia Live Up To Its Wall Street Dreams?